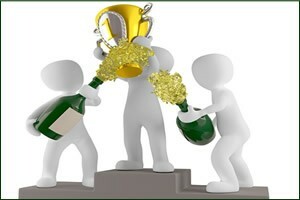 Whilst Footgolf is largely about the fun factor, we’re not denying it’s pretty cool to be the winner too. 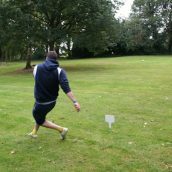 Footgolf Frenzy have some top tips to ensure you’re well on the way to being a winner, and bagging a trophy next time you play. It seems obvious, but giving away points because you didn’t quite have a full grasp of the rules is a sure fire way to relegate yourself to loser status. Once you know the rules, use them to your advantage, for example, making sure your ball is as far forward in the tee off box as possible. Knowing how to play is all very well, but Footgolf varies enormously depending on the course you’re on. So the second trick up your sleeve that will give you a competitive advantage is to get an idea of the course you’re playing. It seems obvious, but it’s all too easy to aim for the wrong flag, so walk the course beforehand, or at least sneakily study a map in the clubhouse or online beforehand. And for added winning tactics, watch the group in front of you and see where they come a cropper. If you know the rules and you know the course you’re two steps ahead of the competition, but to really get ahead of the game you need to know the intricacies of things such as how the ground surface and wind affects a kick (you can add whopping metres to a kick by shooting along short grass and shooting low to avoid a strong headwind). Know that kicking from the top of your shoe, about the laces area, is going to deliver both power and precision, whilst the side of your shoe is best on the putting green. But you don’t need anything special? True, but the one bit of kit you do have, the ball, matters. 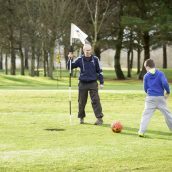 Super-inflated and you’re going to get some staggering distances covered, but too inflated and there’s a good chance Footgolf will become Foot-tennis on the Putting Green with your ball bouncing out of the hole or simply overshooting. Similarly, and particularly if you are a footballer used to a pass being intercepted, don’t misjudge just how long it can take for a ball to come to rest. We’re not just talking repetitive games here, although practice does make perfect. But don’t be afraid to stand on the putting green and do a few false kicks, practising your swing just as you would in golf. These are precision shots, so don’t rely on a one-time wonder of being sure to bag the hole for you. Envisage the ball and have a dummy run. 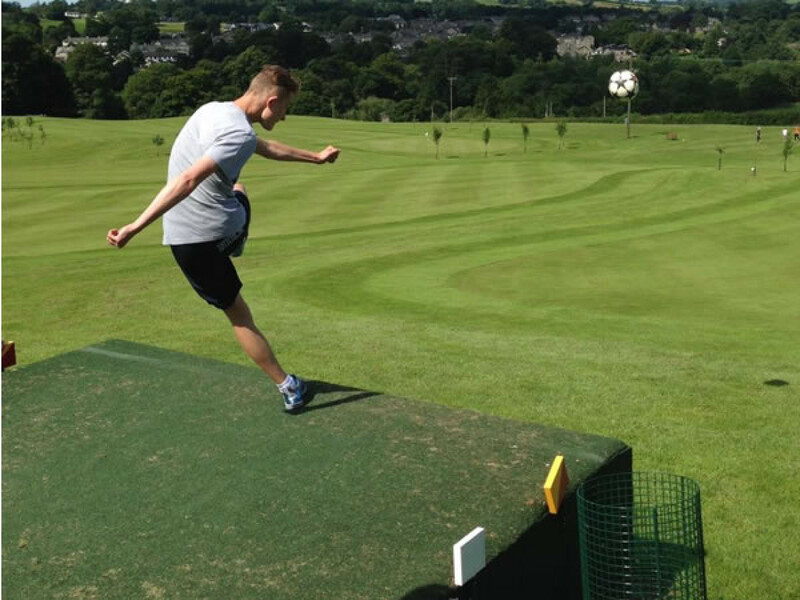 Hopefully by combining these top tips you’ll be on your way to being a Footgolf Champion in no time, and your competitive spirit will live to see another day. 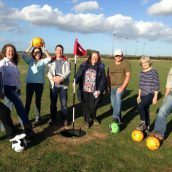 Find and book your next Footgolf game with us!